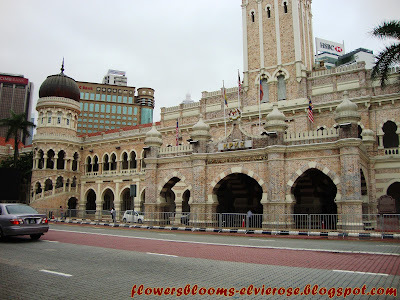 During my tour of Kuala Lumpur in December, 2010, I noticed a beautiful and majestic structure along the way. 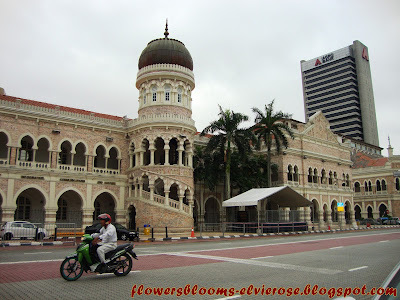 My driver told me that the building is known as "Sultan Abdul Samad Building". 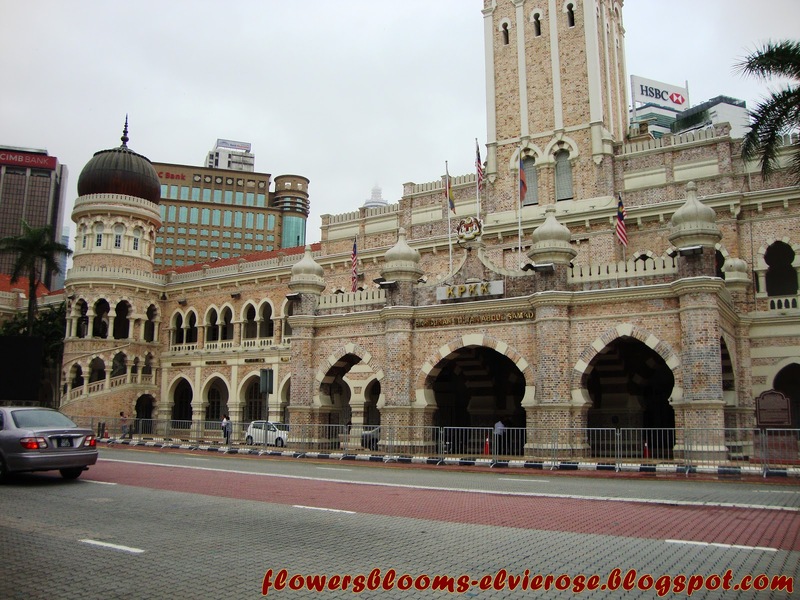 It is located in front of the Dataran Merdeka (Independence Square) and the Royal Selangor Club, by Jalan Tunku Abdul Rahman in Kuala Lumpur, Malaysia. 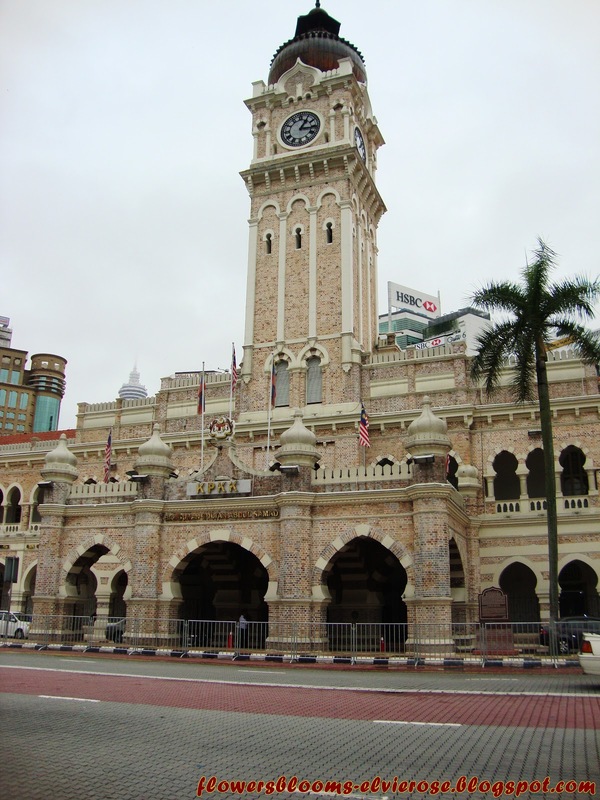 The structure takes its name from Sultan Abdul Samad, the reigning sultan of Selangor at the time when construction began. The structure has a shiny copper dome and a 40m high clock tower, it is a major landmark in the city. It serves as the backdrop for important events such as the National Day Parade on August 31 and the ushering in of the New Year. This heritage building used to be occupied by the then Apex Court of Malaysia, the Supreme Court which was subsequently renamed the Federal Court. The Court of Appeal was also housed in this historic building. The Federal Court and the Court of Appeals have since moved to the Palace of Justice located in Putrajaya, the new Federal administrative capital. It was designed by A.C. Norman and built in 1894-1897 to house several important government departments during the British administration. A.C. Norman spent time in Africa and saw Muslim mosques in India which led him to use Moorish architecture in the building's design. Pretty Gems and Charms by PINK BOX ! I love "Tikoy" (Nian Gao) !